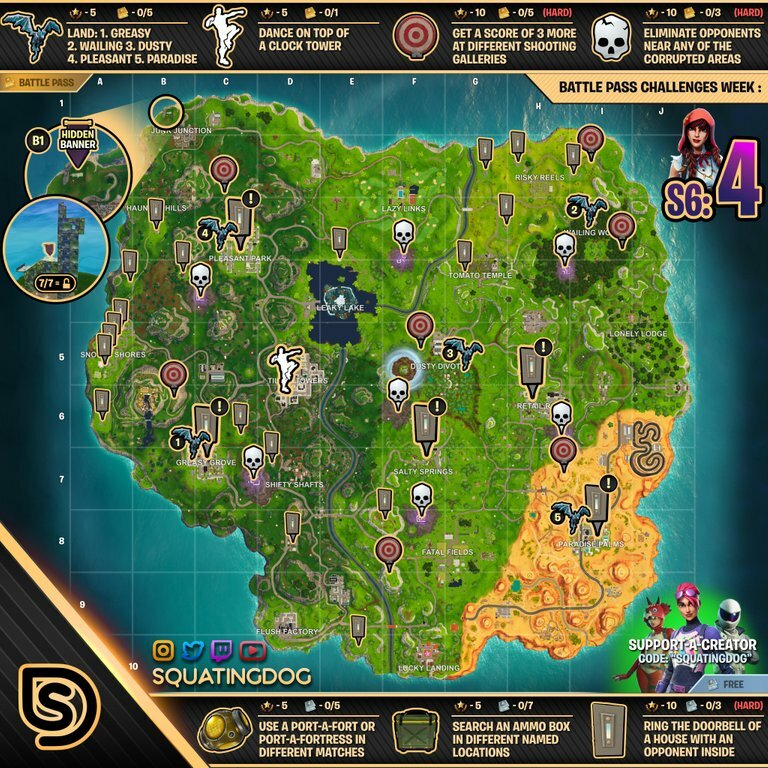 Fortnite season 6 week 4 has begun, and with that all new challenges have started. This weeks challenges can be completed to gain a total of 50 battle pass stars. There are 20 battle pass stars for the free battle pass, and 30 battle pass stars for the paid battle pass users.